Drive to us,Vineyard Breakfast. Enjoy the best priced hot air balloon ride in South East Queensland, excellent value for the best balloons and the best crew. It also includes a Champagne Breakfast at O'Reilly's Grand Homestead & Vineyard. Just a 55 minute drive South West of Brisbane CBD. Our most popular Brisbane hot air balloon ride (thirty minutes flight time)! Includes a delicious full champagne breakfast at OReilly's Vineyard. Looking for unique gifts they will really enjoy? Give them gift vouchers for a ballooning experience they will always remember. Self Drive to meet us in Nerang or Canungra. The Atherton Tablelands is a wonderful area to visit. 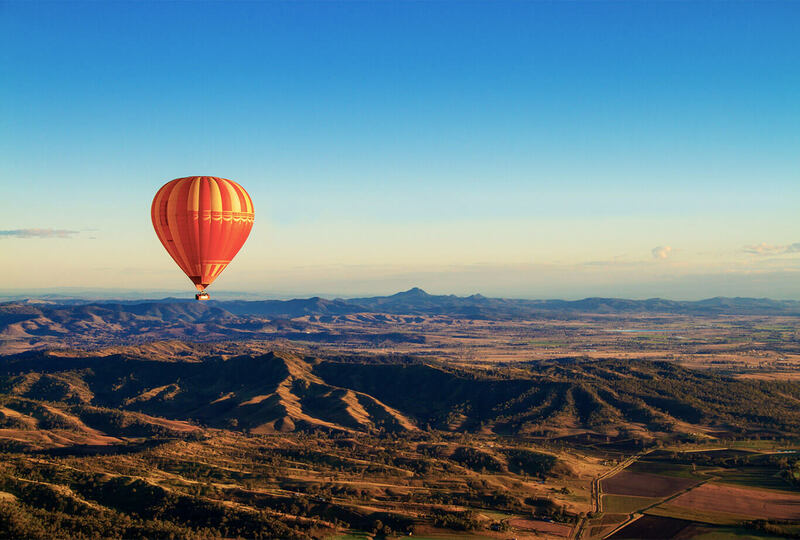 Save here when you book this package which includes a scenic hot air balloon ride, free time to explore Kuranda Village and entry to Kuranda Koala Park where you'll see some friendly Australian wildlife. Our most popular Port Douglas hot air balloon ride! Looking for Christmas gifts everyone will enjoy? Give them gift vouchers for a ballooning experience they will always remember. Personalised Christmas gift certificates will be instantly emailed to you. Imagine sharing your wedding vows in a hot air balloon. This is a unique and memorable Brisbane wedding experience. Package includes private Brisbane transfers, gourmet champagne breakfast and more. Save by booking here for a magical hot air balloon ride as well as entry to the Australian Butterfly Sanctuary in Kuranda, including transfers. Welcome! If this is your very first hot air balloon flight, please know, we fly and operate every one of the balloon rides listed on this website and we'd love to invite you to experience the wonder, silence & romance of hot air ballooning over picturesque scenery with a delicious champagne breakfast at the Vineyard (Gold Coast & Brisbane). For over 17 years, our motto has been the best balloon rides at the best price in the best balloons. 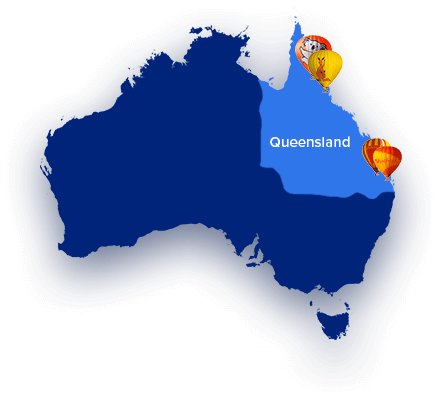 Every day of the year our balloons take off, so you can choose to fly with Hot Air Balloon Brisbane or Hot Air Balloon Gold Coast or join our teams in Hot Air Balloon Port Douglas or Hot Air Balloon Cairns. in Australia to float in a hot air balloon.